Faced with mounting criticism about the state of snow clearing and removal in Montreal, Mayor Valerie Plante has sent a letter to all boroughs telling them to do a better job. In her letter, Plante points out that snow removal isn't just esthetic -- it's an essential service provided by the city to ensure the streets and sidewalks are safe for citizens. "My expectations are very high, and I will not accept, under any circumstances, that the job is not done well because the people of Montreal are expecting, with good reason, to receive high-quality, faultless services throughout the city," wrote Plante. 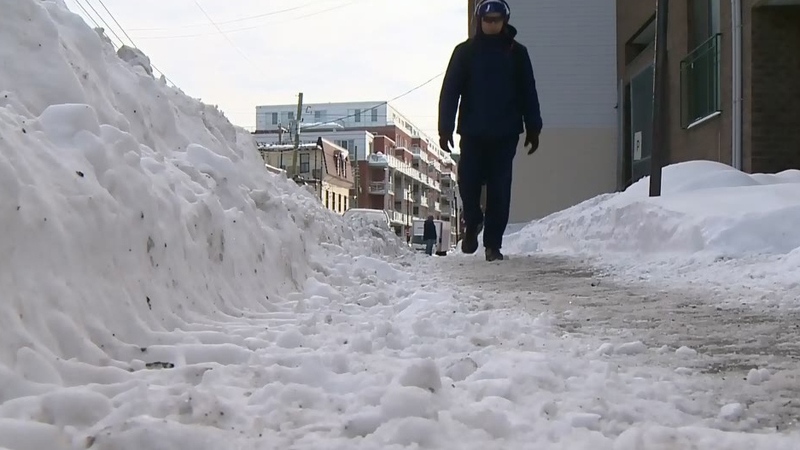 Montreal launched another snow removal operation late Wednesday, saying that not only should snow be removed but also the thick layers of ice on sidewalks. Urgences Santé has had to deal with an extremely high number of people slipping on ice and injuring themselves in the past week, and countless citizens have complained about ice-coated sidewalks, including near metro stations and other areas that are supposed to be a top priority for safe sidewalks. 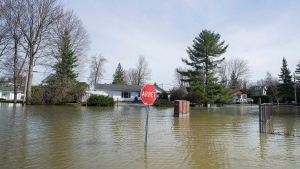 Over the past week and a half, about 50 cm of snow and 30 mm of rain have fallen in Montreal. There is no snow in the forecast until Sunday, and even then only a light dusting is expected. The mayors of multiple boroughs are refusing to accept blame for the quality of snow clearing in the city. Jim Beis, Michel Bissonnet, Christine Black, and Alan DeSousa (who are the mayors of Pierrefonds-Roxboro, St. Leonard, Montreal North, and St. Laurent), said Plante should look to her administration. "The mayoress is clearly in panic mode after getting multiple complaints over the past two weeks," said DeSousa. "If she needs to blame anyone, she should blame her own administration. It's the central city that decides whether or not there will be snow removal operations, not the boroughs." Beis said that just two days ago, Plante told reporters that the complaints from opposition councillors about snow removal were baseless. "Today, she's trying to blame the boroughs for her own bad management," said Beis. Craig Sauvé, a councillor for the Southwest borough, said people who are unhappy with how snow removal is being handled in their neighbourhood should contact officials. "It is the borough's responsibility to do the operation so citizens, if they have a complaint, they send to 3-1-1 and it goes to the borough. It doesn't come to Valerie Plante's office because that is not her role in terms of the Charter of Montreal," said Sauvé. He pointed out that Plante is aware of a large number of complaints about snow and ice removal. "She says, 'Look, I've heard the citizens of Montreal. They're worried. And I want to make sure there's quality snow removal and ice removal immediately because that's the main business of a city,'" said Sauvé. A pedestrian walks along a snow-covered sidewalk in Montreal's St. Henri neighbourhood.